This was a weekend of firsts for me down in the Great Trinity Forest. 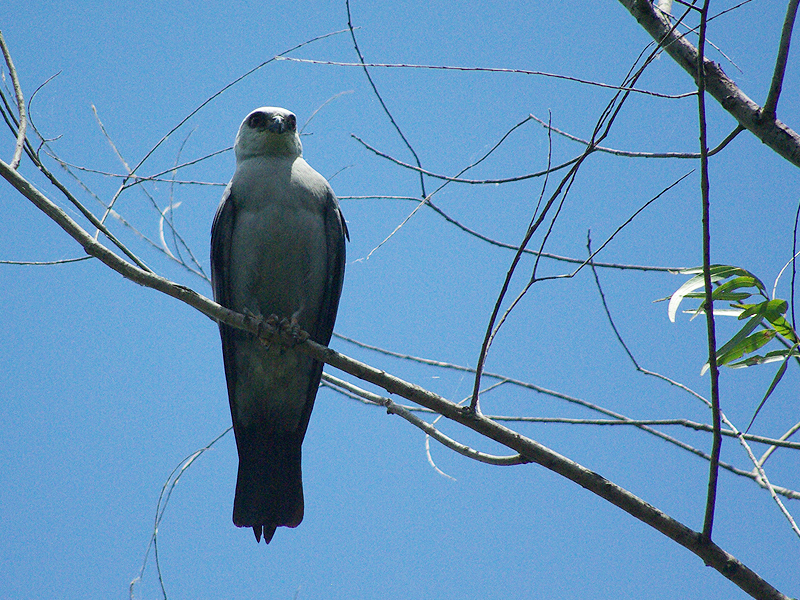 This is the first Mississippi Kite I have ever seen. I found this individual just as I was thinking about heading home. I was hot and tired. Despite this, I decided to fight my way through the underbrush for one more look at Lemmon Lake before I left. I’m glad I did. 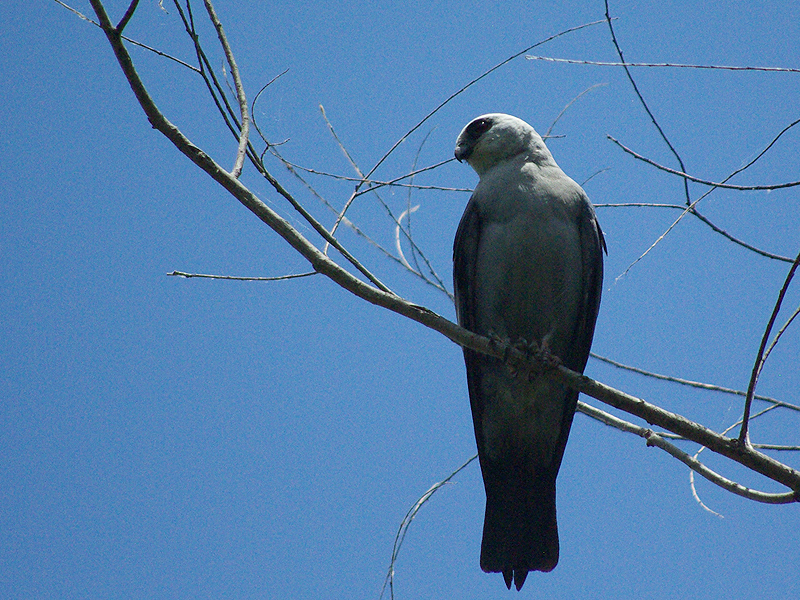 This Mississippi was perched high in a tree overlooking the water. He was very brave and allowed me to approach as closely as I wanted. 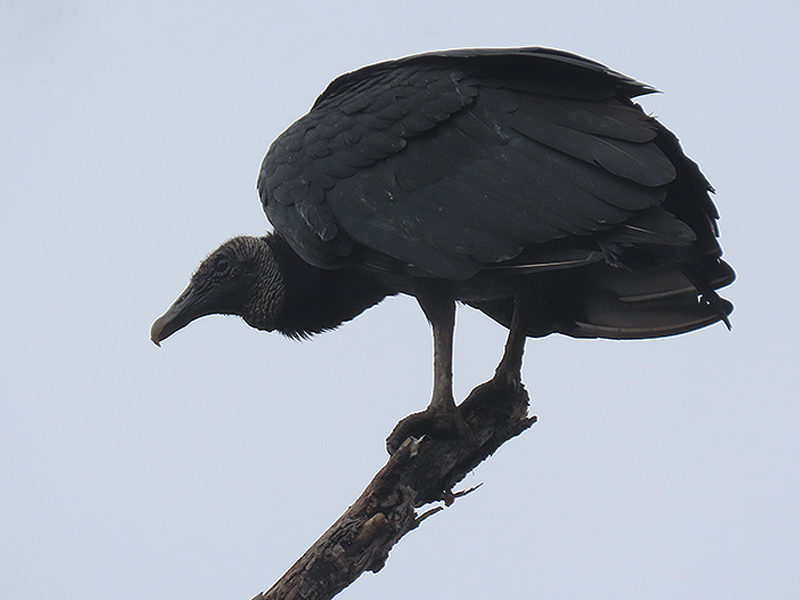 In fact, I think I became something of a curiosity to the bird as I neared—you might noticed the quizzical expression on his face in the last photograph below. 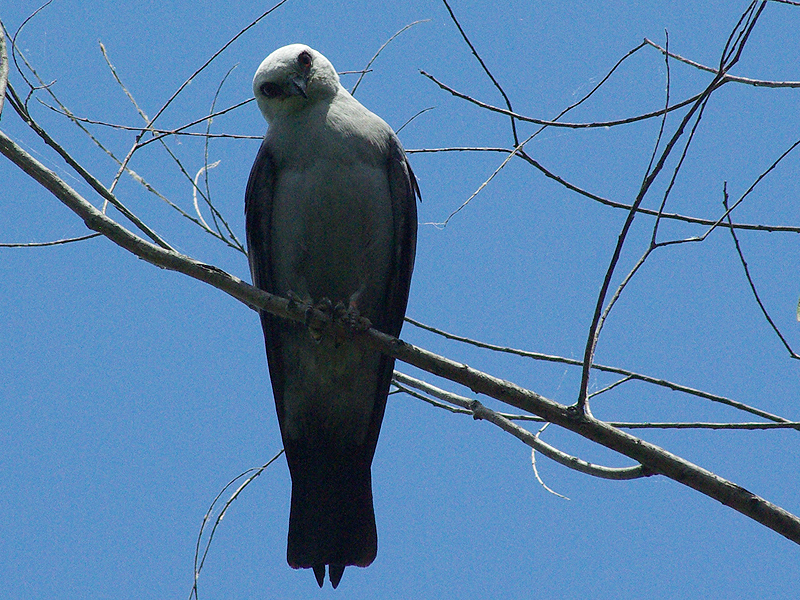 We first saw a pair of mating Mississippi kites in the big pecan tree in our front yard (East Dallas), around the beginning of summer. Had never seen one before and had to Google it to find out what they were. They seemed to stay in the area the next few weeks. Later we saw 7 or 8 soaring above. 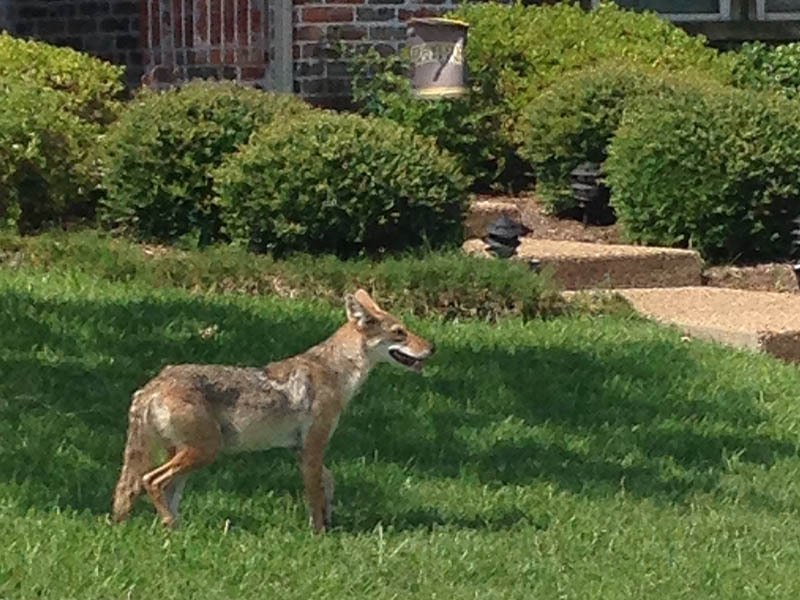 Then yesterday (Sunday, Aug 30, 2015) we saw something I’ve never seen before. 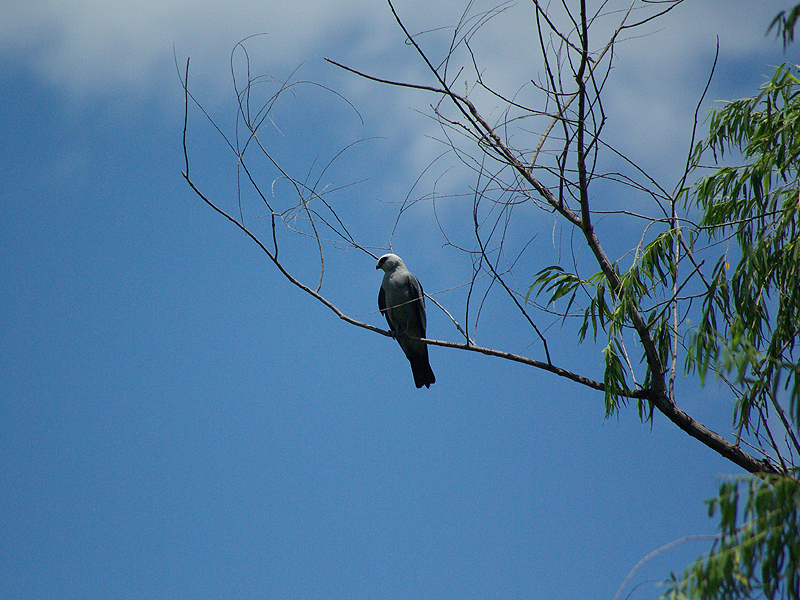 There were at least 50 of them circling overhead, riding the wind currents, soaring and gliding. Did anyone else see this? Does it mean anything, weather-wise? Migration? It was extremely unusual. This is the time of year the kites gather together in large groups as they migrate south for the winter.